"...And as sure as my name is Boris Karloff, I can assure you that this one is a thriller." 1960 was the year that NBC television premiered one of the most popular horror anthology shows in history, Boris Karloff's Thriller. As a kid in 1960, I don't remember watching this show in prime time, but in 1964, it came on in syndication on Saturday nights, and I watched every episode I could. Fiddling with the rabbit ears of the old black and white sets to get the clearest thriller picture imaginable, this program hearkens back to a time when life was more simple, and day-to-day pleasures did not involve high technology. Black and white was the only technology in our household, and it was cherished. To this day Thriller remains one of my top favorites among horror anthology, ranking right up there with such heavyweights as: The Twilight Zone, One Step Beyond, Alfred Hitchock Presents, and even The Outer Limits. The thing about Thriller that I remember most was how the episodes seemed to stay with me. They were more like shorter movies than a TV show, and the quality was so great. This was a program of impeccable production design. Thriller made full use of its 60 minute time slot and left nothing to waste. Aside from employing amazing writers like Robert Bloch to flesh out some of its tastier stories, the program had sincere technical aesthetics and several memorable moments. I look at it now, as an adult, and see it as art; as a kid, several of the episodes would have terrified me for a month. Marvelous kid-like imagery such as severed hands crawling along the floor by themselves, or druid stones with a fire to burn witches, or a phantom of the opera-like menace appearing from the shadows were all too wonderful for mere words. The stories themselves covered the gamut: hauntings and ghosts, mysteries, sci-fi, psychological thrillers, creature features, witchcraft, and plain old crime thrillers. The program even featured one comic episode featuring the sublime Elizabeth Montgomery. This was also disappointing for me, for I feel that comedy and horror are rarely two ingredients that mix well. Thriller did suffer from some ridiculous technical flaws and a few horrifically awful effects. My favorite technical faux paus is from the episode "Choose a Victim" where we hear the ocean outside a beach bungalow. When the door opens, it's just a blown-up photo of the ocean, no waves moving, but a constant roar of surf in the background. The program included fantastic sets, and an ability to capture the flavor of the period. For true 60's aficionados, there is a sense of place and hometown feel even in the scariest episodes. 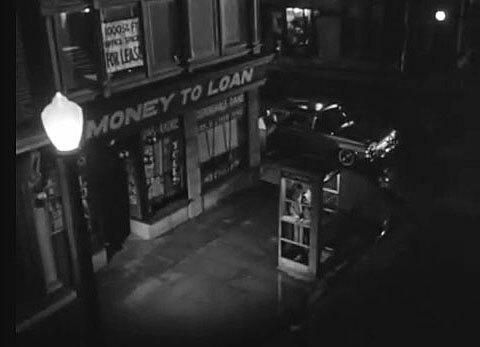 The street scenes-especially at night-were fabulous, and looked like they could have spilled from the big screen. It's interesting to try and keep track of how many times the Psycho House appears on different episodes. We were even fortunate enough to be blessed by the appearance of the great Elisha Cook Jr. in a magnificent episode titled: "The Fatal Impulse". 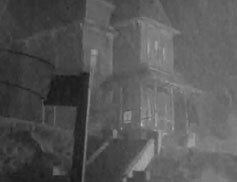 My favorite episodes of course were the shows that anything to do with haunted houses and ghosts and/or atmospheric pieces. They looked and felt more like good old AIP studios productions, or black and white Roger Corman features. Among my favorites: "The Hungry Glass" about a couple that buys an uninhabitable house on some rocky cliffs of the ocean. 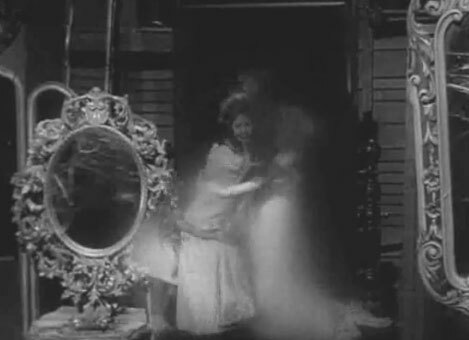 The former inhabitant was fascinated with her image in the mirror, and kept mirrors everywhere. Soon the ghosts take the new owners, and they go on to haunt the house. Very moody and very atmospheric, this one ranks as one of my top ten favorites. Let's not forget William Shatner and a great 60's icon Russell Johnson (aka the Professor from Gilligan's Island). Another favorite is "Papa Benjamin". 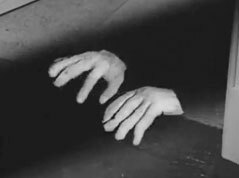 In this episode, pianist (John Ireland) composes a rhapsody stolen from a secret voodoo ceremony that he'd eavesdropped on. Naturally, he calls it the "Voodoo Rhapsody" and it becomes his most popular and requested piece. Of course, the consequences of eavesdropping are deadly. I loved "The Devil's Ticket" In that episode, an artist pays the price for fame and fortune by making a deal with the devil. 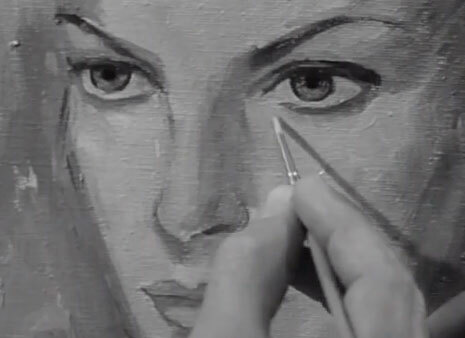 The payment: he must paint a portrait of somebody that truly captures their soul. 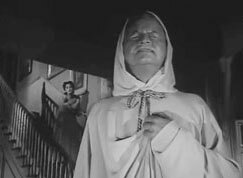 Edgar Allan Poe's "The Premature Burial" was handled with perfect aplomb, and I actually prefer this episode to the Roger Corman film of the same. The Episode did feature Boris in the lead, and one creepy crypt shrouded in ankle fog and guarded by the signature wrought iron gate. "Pigeons from Hell" was one of the weirdest episodes of all, and perfectly kid-creepy. Another fascinating episode involved a child serial killer and a case of mistaken identity. The episode was "The Fingers of Fear" and had an excellent Robert Middleton cast as a slow-witted man who appeared to be the murderer. Similar is the episode "Knock Three-One-Two" which has a serial killer roaming the streets. "Choose a victim" was a crime thriller, and one of my favorites. 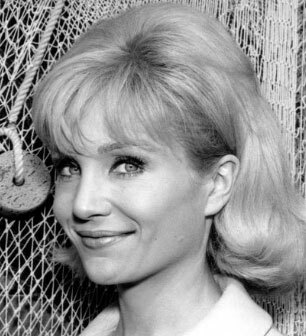 It not only featured the lovely Susan Oliver (always a plus), but it had a compelling story as well. The same goes for "Late Date". 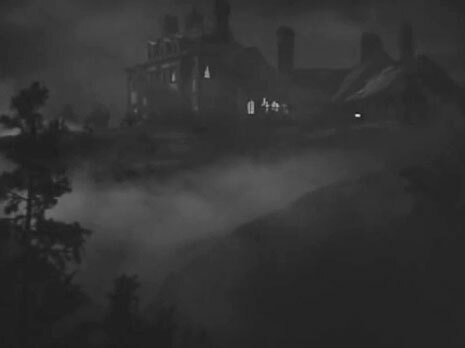 Aside from some ludicrous acting by the lead player, it was a very fine crime drama with one of more bizarre plots I'd ever seen where a man lugs a body rolled up in a carpet for miles along a hillside road at night. Boris was my favorite anthology host. He was truly an actor and with tremendous stage presence. He could address an audience like he was delivering Shakespeare. Rod Serling was my second favorite; hosting The Twilight Zone, he was great, but later on in the 70's, when "Night Gallery" premiered, Rod was at the top of his game. Though the two had styles as different as night and day, and considering also that Rod was not an actor, but a writer, he didn't do half bad. 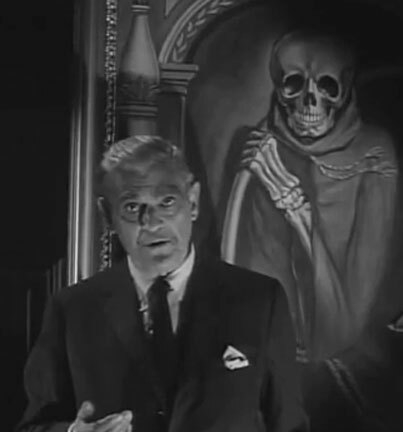 Karloff the Uncanny knew how to take command of the stage. If a prop dagger was part of the story, he'd run his finger along the edge and smile to let us know that it was sharp. Boris was the perfect host. 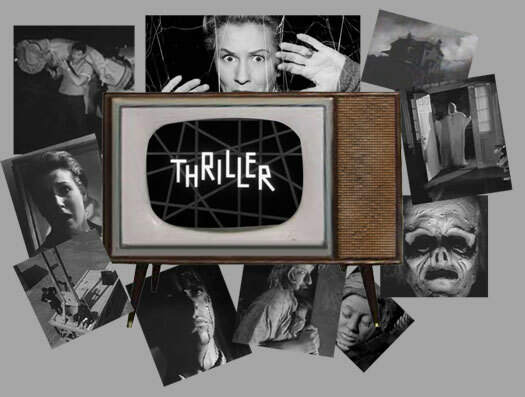 Thriller offered up so much that a kid could want when watching horror shows, and many of its sets were very reminiscent of William Castle productions. There were so many fantastic episodes, a few of which, featured Boris himself. There were ghosts, guillotines, premature burials, chopped off hands crawling across the floor, creepy witches, psychotic pigeons, devils, creeping serial killers, and a twinge of sci-fi. 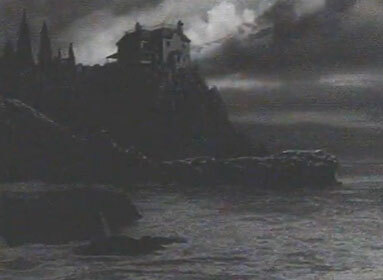 Two programs of the anthology genre Alfred Hitchcock and The Twilight Zone suffered greatly, in my opinion, from from the curse of comic episodes. The comedies were purely frustrating, and I remember hating them. To this day, I skip over them. Thriller has a few comic episodes spread out among the series, but it's not overloaded with them. 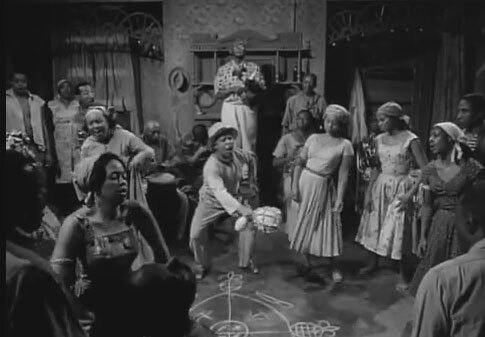 The Outer Limits proudly only has one comedy episode in its incredible repertoire. I'm a firm believer that comedy has its place. We don't giggle at funerals, why should we have to with our favorite horror shows? Horror is a respected, highly-revered genre. As a kid, it was sanctuary; monsters were cool as long as they stayed in the closet; darkness was wonderful as long as it wasn't there at bedtime; things that went bump in the night kept our hearts pumping. Though there have been a few tastefully done comic exceptions in horror, for the most part, comedy didn't need to be chuckling its way down the dark corridors of monster kid-dom. Previous Page Back to top Next Page: 2013...the Future!